mackenzi lee | reader. writer. perpetually-anxious badass. 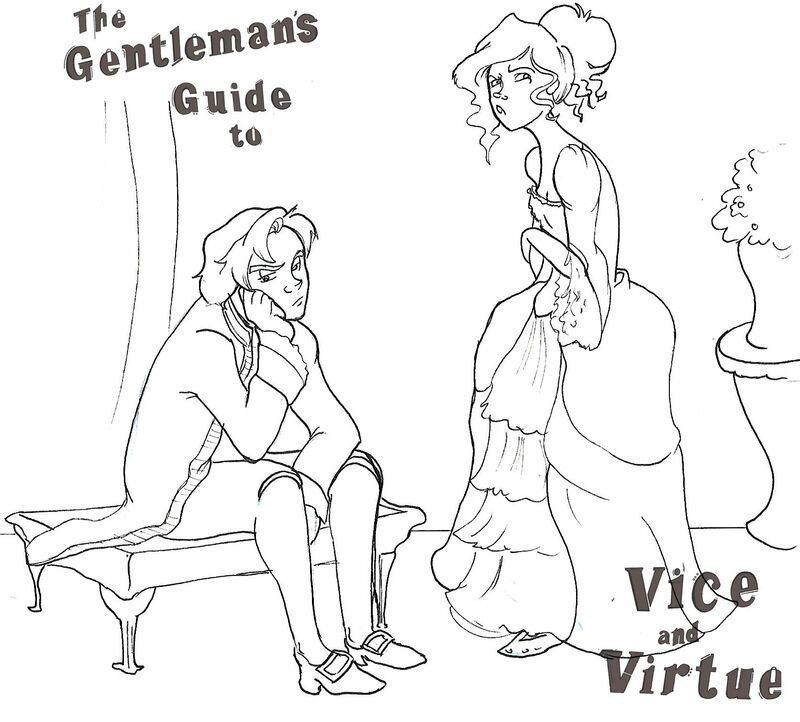 The Gentleman’s Guide to Vice and Virtue Coloring Contest! Gentle Readers. It has been a time since I used this blog because, when writing is your job, it’s hard to get yourself excited about doing more writing in your off time. And even now, I only return not to amuse you with one of my comical stories about fixing my violin or putting out fires in the city of Boston, but rather a super amazing contest for my new book, The Gentleman’s Guide to Vice and Virtue (yes that’s right I have a new book, it’s about boys on their grand tour of Europe in the 1700s and they are in love you can buy it here and here and here and also here are some nice things people said about it in magazines also here’s a picture of a pupper because you put up with all that self promotion you deserve it). But enough of that. It’s coloring contest time. You may remember the insanely epic Frankenstein coloring contest I had predating the This Monstrous Thing release. It was frankly one of my favorite things ever and definitely my favorite thing leading up to promotion. So I’ve decided to do it again! And since there isn’t a GGTVAV coloring book (yet), I made my own. Actually I hired someone way cooler than me to make it. My lovely friend, talented artist, and YA author McKelle George did three incredibly awesome illustrations of Monty, Percy, and Felicity, the three lead characters from the book. 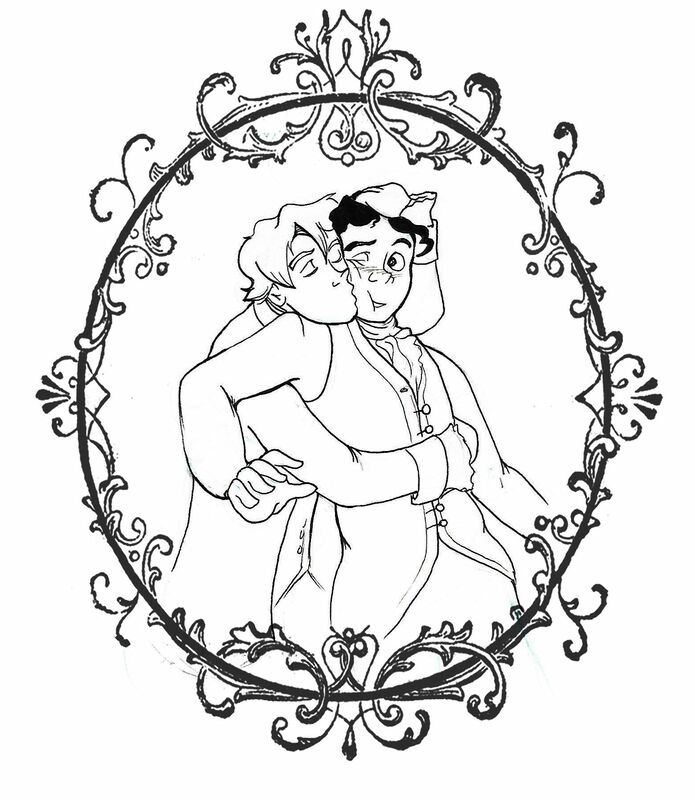 And now you get to color them! How can I see these glorious creations, you may ask? And what do I do with them!? You can also find them on EpicReads.com! Step 2: Color them! With any medium! Any embellishments! Any additions! Be as creative as it is possible for humans to be. Creativity will be rewarded. And because there are three magical flavors, you can color each of them once and they will each count as a separate entry in the contest. That means you can enter three times. Step 3: Blast those SOBs all over social media. Facebook them, Twitter them, Pinterest them, Instagram them–just be sure to tag me (I am @themackenzilee nearly everywhere) and EpicReads (@epicreads most places) so that I see them and count them. You can also use the hashtag #ggtvav (because who came up with that insanely long and unhashtaggable title?). Step 4: Make sure you do this by May 26! Step 5: Sit tight and try not to bite your fingernails. I’ll announce the winners on June 1. Now, you may be asking yourself, self, why would I do this? Well it’s scientifically proven to relieve stress. Also coloring is awesome and these pages are dope. Okay but more importantly, coloring can win you badass prizes. One winner in each category of coloring page will receive a hardcover of Gentleman’s Guide to Vice and Virtue (before it releases) and a hardcover of This Monstrous Thing, a Gentleman’s Guide button and sticker set, including two buttons and stickers that are exclusive to the coloring contest–you won’t be able to get them anywhere else! BUT WAIT THERE’S MORE! One grand prize winner–selected as my favorite coloring page of all the coloring pages–will receive all of that mentioned above. A canvas print of original art for The Gentleman’s Guide to Vice and Virtue created by the incredible artist Jim Tierney. It’s so beautiful and I will also be ordering one for myself. That’s how much I love it. BUT WAIT THERE’S MORE! BECAUSE EVERYONE WHO ENTERS GETS A PRIZE! Just for entering, you will receive a link to download the most adorable thing in the world–a set of Monty and Percy paperdolls, along with their fictional time traveling best friends, Simon and Blue, from Becky Albertalli’s amazing novel, Simon vs. The Homo Sapiens Agenda. 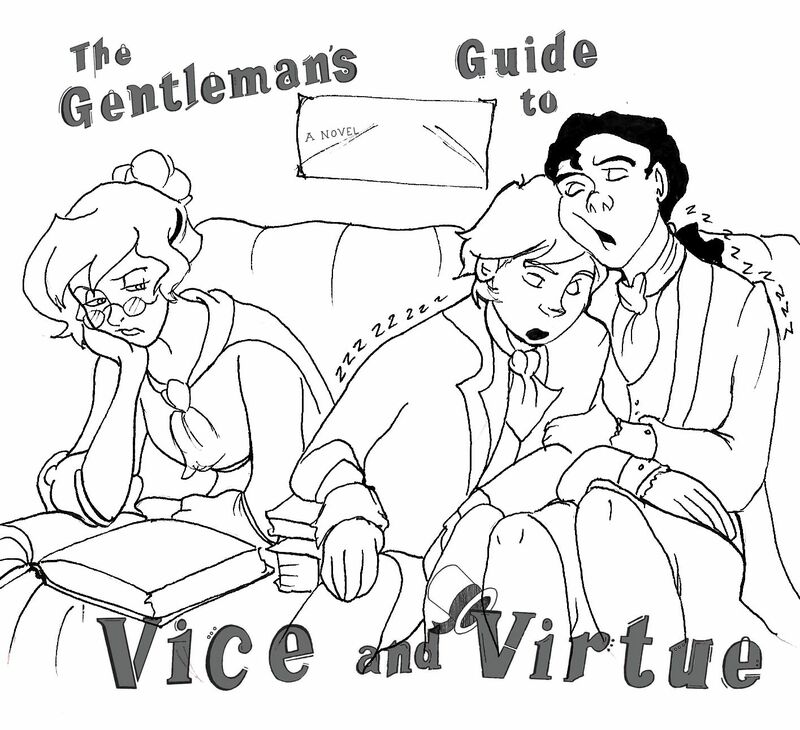 Becky was an early reader of Gentleman’s Guide to Vice and Virtue and its original fangirl, and she was kind enough to commission these adorable creations from artist Mariana Avilez, who you can and should find on Tumblr and Instagram. And the boys have interchangeable outfits so you can dress them in each other’s outfits and make Monty and Percy 21st century and Simon and Blue can be old timey and also Monty and Percy have period appropriate underwear and all you have to do is enter the coloring contest (and don’t forget to tag me or I’ll never know! ), and you will be sent an exclusive link to download these gorgeous things. Color. Show me. Win fabulous prizes. That’s because I have been otherwise occupied by the fact that MY FIRST BOOK COMES OUT IN 27 DAYS1! So let me quickly catch you up on some of the things that you should know about in relation to this whole “book comes out in 27 days” things, because, I’m so sorry loyal blog readers who have words, but this is ALL I CAN THINK ABOUT RIGHT NOW. Firstly, if you are gearing up for reading THIS MONSTROUS THING but worried you might not fully appreciate it because you haven’t read FRANKENSTEIN2, there’s a video for that! One time, during a Boston snowpocalypse snow storm, I got really caffeinated and made a five minute synopsis of Frankenstein that I promise is the fastest you will ever hear another human being speak. Also it’s shorter than SparkNotes. Your’e welcome. Secondly, on Friday, EpicReads will be revealing the BOOK TRAILER for THIS MONSTROUS THING! Remember when we filmed this? And it was freezing? And there was fake blood and a mechanical arm? Well it’s nearly time, friends, when it will be revealed to the wide world. Steel thyself for Friday at noon. The monsters are coming. Third of all, I got my first finished hard cover copy of the book! I swooned and cried and still grin nonsensically when I think of the fact that it is sitting in my apartment, a real thing and not just a dream. It just gets realer and realer! 27 DAYS! This book thing is starting to look like it’s actually going to happen. No judgement, but what is wrong with you?! A few weeks ago, I made an acquisition. The Color Your Own Graphic Novel version of Frankenstein, adapted and illustrated by John Green. No, not that John Green. Though that would be awesome. I must do something awesome with this, I thought. And then I looked at the stack of This Monstrous Thing ARCs on my desk. And an evil plan began to take shape in my mind. Friends, This Monstrous Thing drops in almost exactly two months. And I still have some advanced copies that I’d like to giveaway. Want to win one of these advanced copies? Now you can! Announcing the THIS MONSTROUS COLORING CONTEST! Pick one (or both, if you’re ambitious) of the images from the Frankenstein graphic novel. You can find scans of them below, or on Pinterest, or on Twitter. Color them. With your markers. Or crayons. Or fingerpaints. Or on the computer. Extra points for creativity and TMT references and Frankenstein references and glitter and coloring outside the lines. Get your colored entry to me by August 1. You can do this many ways–Twitter, send it to me on Pinterest, Facebook, email it to me (themackenzilee(at)gmail(dot)com). Scan it, take a picture with your phone, take a picture of you with it, send it via owl–whatever floats your boat. If you mail me your hard copies, that would probably make my life and I will hang them on my wall. Wait anxiously for me and my panel of anonymous judges (probably myself and the MT) to make our selection of the winners. An ARC of THIS MONSTROUS THING, signed by the author. I have an in. A copy of Frankenstein. Not signed by the author. Sorry. I will probably color a picture for you. Or draw you something. Whatever. It will be awesome. Two runners up will receive…. ALL ENTRANTS will receive swag from THIS MONSTROUS THING. Here are the two images you can choose from. All images copyright 2010 by Dover Publications, image credit to John Green. No, not that John Green. Click for a larger version. So that’s all you have to do–color! And you might win yourself some free books. I have not been great at blogging lately. I have been writing a lot of other things which makes it hard to want to write in my free time. What little of it there is. That’s the other thing, I don’t have a lot of free time. But if you have missed this blog and wonder what I’ve been up to lately, here are some other places you can find me around the internet…. I got to be part of Pop Goes the Reader’s fantastic blog series, Her Story, where women authors write about women in literature who inspire them. Read about my favorite heroine and why I love her here. My fantastic critique partner Anna-Marie McLemore interviewed me about the ins and outs of writing historical fiction. And also I give some book recommendations. Read the interview here. The Midnight Society interviewed me about Frankenstein, why I love it, and some of my inspirations behind THIS MONSTROUS THING. Read what my dream Frankenstein adaptation would look like. Writer E. M. Castellan chose me as her writer in the spotlight, and I talked to her about, among other things, the music I was listening to while I wrote THIS MONSTROUS THING. Read the full interview here. Until next time. I’ll be back soon. The reviews for THIS MONSTROUS THING are starting to come in. Publisher’s Weekly calls it an “accomplished first novel” (a phrase I’m probably going to get tattooed on my forehead) and describes the characters as “suitably tormented, in accordance with Romantic tradition.” Meaning that now I have a new life goal, which is to live every day like a suitably tormented Romantic hero. Pop the champagne, don’t forget to enter to win a copy here, and read the full reviews here and here! An essential part of the writer life is the critique partner relationship. What is a critique partner, you might ask? It is generally a trusted friend, usually a fellow writer, who you swap projects with, read each other’s work, and give feedback on how to make it even more awesome. Recently, my beloved CP Anna-Marie McLemore (whose novel, The Weight of Feathers, is stunning) and I did a joint interview for the Fall Fifteeners on the ins and out of a critique partner or CP relationship (you can read the original interview here!). Except we’re novelists, so we got a little long winded and had to cut a lot of the brilliant things we said. Because everything we say is brilliant. So here is the deleted scenes from our conversation, some additional thoughts on how to be the best CP possible. Anna-Marie’s answers appear in pink, mine are in green. Sorry our favorite colors clash so badly. AM: How I connected with my CPs is a mix of in-person and online. Mackenzi, you’re a great example of meeting a CP online, because I first got acquainted with your work through The Writer’s Voice Contest, and then we started talking over Twitter. I read your entry and immediately thought, “I want to read that!”How did you connect with your CPs, Mackenzi? And do they all read your work at the same time, or do you stagger? M: I remember being very glad you reached out to me, because I read your entry and had the same ZOMG I WANT THIS reaction to your book, but I was still very new to the writing community and too shy to reach out. Plus you just seemed too cool for me. Which I still sometimes think you are. M: I am lucky to have done a great MFA program and found some writers through that who I’m now in a writing group with. We meet every two weeks, talk about writing and life, and read and critique each other’s stuff. It’s a much more casual relationship, because we have the MFA background together and have been friends in addition to critique partners. Giving feedback is very different when you’re sitting across a plate of French toast from someone than it is over the internet. I love my writing group in person because they are highly brainstormy, and I love being able to talk out problems with them. They are the people I go to when I get stuck. 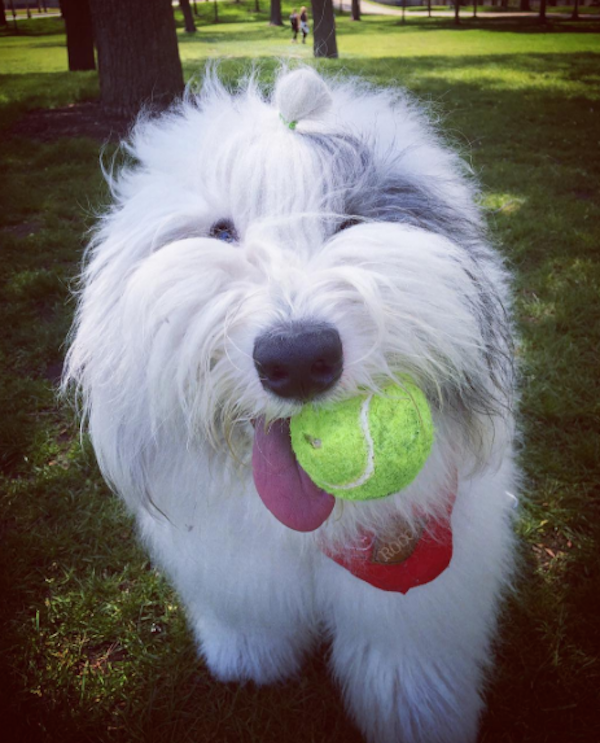 AM: Mostly I first connect with CPs because I adore their work. Their stories are brave, unexpected, and intensely memorable. If I admire a writer as much as I do my CPs, I know there’s a good chance they can help me make whatever I’m working on so much better. With you, Mackenzi, I was struck by how efficiently and vividly you depict time and place, and this became the first of many things I’d come to admire in your work. Connecting with CPs this way also means there’s a good chance I can be helpful to them. When I critique, I start with what I like about a story—what’s strongest, what’s working, at least for me. It’s not because I’m trying to be nice, it’s just how I work. And if what I’m saying resonates with the author, I try to help them figure out what’s getting in the way of the things that are strongest and most engaging. That’s not to say that you can’t critique a piece you don’t love. Far from it. Even with stories I don’t quite connect with, that’s usually where I start—what’s working. And this is why it’s helpful to have multiple points of view. Maybe the plot thread that stuck out to me as out of place is the thing everyone else goes wild for. Maybe the scene I loved isn’t serving the story as well as it could. Different POVs are invaluable. M: The first thing I’d say on this subject is if you’re entering into a CP relationship, be sure you’re willing to take feedback. We’ve all had that CP or writing group member or MFA student who argues with every piece of feedback they’re given and doesn’t really seem to want anyone to tell them anything except how good their story is. Don’t be this person. But also recognize that not every piece of feedback you’re going to get is going to be right for your story. I’ve also had CPs who took every piece of advice I gave them and applied it and it always made me uncomfortable, because it’s their story. They should be making changes that serve their story. A CP relationship is a mix of being open to hearing what other people have to say about your writing, and going with your gut. AM: You may not know exactly what you want to do right away, but CP comments should give you a sense of looking at the story with new eyes. If feedback from any one CP repeatedly makes you feel drained it’s probably destructive, and it’s probably not working. The biggest red flag in a CP relationship is if you don’t feel safe. If you don’t feel safe giving them your work, or if you don’t feel safe being honest about how you’re reading their work, then something’s wrong. Whether you both want to work through it or whether it’s best to part ways of course depends on the situation. M: When I was first starting out, writing was such a solitary practice for me. I wrote things, I read things, I revised things. Then as soon as I started showing it to other people and getting feedback, I thought, “WHY HAVEN’T I BEEN DOING THIS FOREVER? !” Other people could help me identify and solve the problems!? SIGN ME UP. Showing other people my writing and having them help me make it better had literally never occurred to me. So I went sort of crazy and was suddenly wanted to show my work to everyone and solicit their help. Which, as you can imagine, backfired. I ended up showing my work to a lot of people who just weren’t the right people for me to be showing it to. For a lot of reasons. It wasn’t that I thought my work was perfect and they were giving me feedback and I didn’t like that. It was just that something felt intangibly off to the way they reacted to my manuscript. And it was mutual–I didn’t love their stuff either. Reading it didn’t get me excited. I didn’t want to help them make it better. I just felt meh. And as a result, we weren’t giving each other good feedback. The things I was getting from them didn’t’ feel like it was helping me make my book better, it felt like them trying to rewrite the novel the way they would if it were their novel. Some of these relationships naturally petered into nothing–we just stopped sending each other stuff. Some of them ended with mutual “I don’t think this is working.” One ended with a writer straight up telling me she thought my stuff was no good. And so then I went back to not showing anyone my writing ever. I think it’s important to be honest but kind when a CP relationship isn’t working. I have a friend who I was once CPs with, but turns out in spite of being friends, we’re not good critique partners. We were honest with each other about how it just wasn’t working, returned to friendship with no hard feelings, and still support each other any way we can. For me, writing and being a critique partner and in a writing group has been a long process of learning who is worth listening to. Which sounds mean and haughty, but hear me out. Some people are going to *get* your writing–they’re going to understand what you’re trying to do and help you do it better. Those are the people you should be listening to and soliciting feedback from and listening to opinions from. Like you said, you want to be taking feedback from people who make you feel excited about the pile of flaming garbage that revision often is. That was a long story. AM: In terms of professional jealousy, what I’ve more often felt with CPs was intimidation, a sense of, “they’re so incredible, what right do I have to critique their writing at all?” It’s not quite the same thing, but it can be just as lethal to a CP relationship. Early on, I was so in awe of the writers I was exchanging work with that I held back on suggestions because I felt presumptuous. But it wouldn’t have been presumptuous — suggestions were exactly what they wanted, and what they were asking of me! It took a little while for me to understand that they were just normal people, and that their books did not spring from their brains fully formed and ready for copy-editing. Just like me, they needed other writers to make it happen. The professional jealousy can be hard but it’s also a natural thing. If you’re crippled by jealousy or can’t be a good CP because of it, that might be a sign the relationship isn’t working out or has other deeper problems. Because if you really care about someone and their work, you’ll be happy for them. You can still be a little jealous. But you’ll be happy. I remember when you signed your book deal, Anna-Marie, it never occurred to me to be jealous. In spite of the fact that I had been on sub for a year and was in the throes of “everyone has a book deal but me” despair. So maybe if you can’t handle good things happening to your CP but not you, maybe you should find a new CP.